In a recent post on this blog, we looked at the Canadian Academy of Sport and Exercise Medicine Position Statement: Athletes at High Altitude. Turns out, we’re not ready to get out of the mountains quite yet. Among the many features of CJSM I have come to appreciate as a reader, a reviewer, an author, and now as an editor is our ‘Published Ahead of Print’ (PAP) section. Articles that CJSM publishes ahead of print have gone through peer review and been accepted for publication; there may still be some final changes to the paper prior to full print publication. PAP represents just one of the initiatives we make in keeping with our commitment to getting high-quality, peer-reviewed, clinically relevant publications disseminated as quickly as possible. One of our most recent PAP offerings comes to you from a group primarily comprised of emergency medicine physicians from Taiwan: Hsu T, Weng Y, Chiu Y, et al. have published an interesting study on the Rate of Ascent and Acute Mountain Sickness at High Altitude. The authors share their results from a study conducted during an ascent in Yushan National Park, Taiwan. 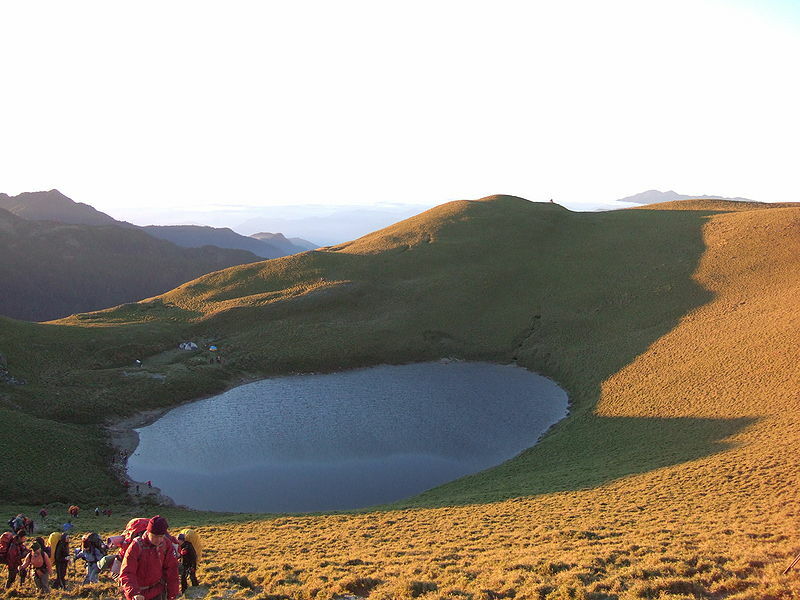 In a prospective, non-randomized study design, the authors followed two groups of trekkers up to Jiaming Lake to ascertain whether rate of ascent, as they hypothesized, was related to onset of acute mountain sickness (AMS). 91 young adults chose one of two routes up and down a mountain: 43 chose a ‘fast ascent’ approach (going 8.4 km from 2370m to 3350m in one day) and 48 chose a ‘slow ascent’ approach (covering this distance in two days). Significantly, given the groups were non-randomized, the authors looked at possible confounders which were not equally distributed among the participants and found statistically significant differences in history of alcohol consumption (more common in ‘fast ascent’–maybe higher rates of risk taking?!) and climbing experience above 3000 m (more common in the fast ascent group). Otherwise, the groups were well matched by BMI, age, gender, smoking status, etc. An a posteriori power analysis was done and demonstrated that there was a 5% chance of Type II error given the numbers studied. Outcomes looked at included O2 saturation levels (SaO2), and two criteria used to define AMS; a Lake Louise score ≥ 3 and the “Lake Louise criteria” (in the setting of a recent gain in altitude, a headache and at least one defined GI symptom, weakness, dizziness, or difficulty sleeping). A total of 19 individuals, pretty evenly matched between the two groups, experienced AMS (10 in the fast ascent, 9 in the slow ascent group). Interestingly, the authors did not find an association with onset of AMS and rate of ascent. Using both univariate and multivariate analyses, the authors demonstrated that an elevated BMI (> 24), lower levels of exercise, and a decreased SaO2 level on ascent were associated with experiencing AMS. The authors were not able to prove their research hypothesis–that rapid ascent to high altitude is more likely to result in AMS than slow ascent in young adults–and the study was arguably powered to do so. They did discover that elevated BMI was a risk factor for AMS, a fact that has been noted in previous studies the authors list in their Discussion section. There were several limitations to the study that the authors note, the chief of which, I think, were the non-randomized protocol and the absence of control for medications taken during the ascent. You can enjoy this and other PAP studies right when they are released if you subscribe to our electronic table of contents (eTOC): go to the top of the home webpage near the masthead to subscribe! And go to that same page to find out what we have in store for you in our May 2014 issue of CJSM. Studies in that issue will be the subject of upcoming blog posts. Enjoy!